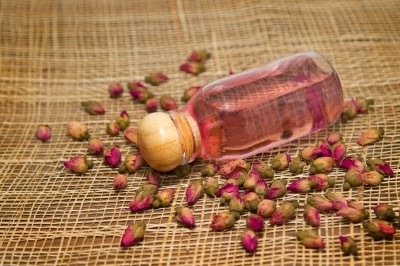 The definition of Aromatherapy simply derives from "aroma" (fragrance) and "therapy" (treatment). Aromatherapy is an ancient treatment based on the principle that the spirit and the body should be in harmony. History records that aromatherapy dates back thousands of years and was likely first utilized by the Chinese and Egyptian cultures, later adopted by the Greeks and the Roman Empire. This healing art combines the aromatic essence of plants (essential oils) with a relaxing therapeutic massage to restore a state of well-being. Aromatherapy creates balance of body, mind and spirit. Academy Massage recognizes the value of aromatherapy for its health and relaxation benefits. When used in conjunction with massage, aromatherapy is effective in enhancing energy when a person needs to be alert or to promote calmness and reduce stress. Aromatherapy has also been shown to increase attention and improve memory. It is a technique that works without artificial stimulants or relaxants associated with caffeine, alcohol, sugar or pharmaceutical products. Academy Massage invites you to visit our office and discover for yourself the total aromatherapy experience provided by our friendly and professional staff. "Life is in the breath. He who half breathes half lives." It is not uncommon for people to experience a shortness of breath after engaging in sports or a long-distance marathon run or some other vigorous activity where lung power is put to the test. But more distressing respiratory problems arise from conditions such as allergies, sinus problems, asthma (seasonal or otherwise), even colds. Antihistamines or inhalers have been effective in halting or preventing these breathing problems, dependent on their severity. Yet a staggering statistic reports that over 714,000 Canadians suffer from a not-so-simply-medicinally-controlled malady known as chronic obstructive pulmonary disease (or COPD), which includes emphysema and chronic bronchitis. COPD is a long-term, progressive lung disease most often caused by smoking, yet other - some undetermined causes - may come into play. When one's breathing (which most healthy individuals take for granted since it is a normal physical action) is compromised it can be a frightening occurrence, leading to distress and in severe cases usually calls for prompt medical attention. Simple daily activities may become more difficult over time and one's quality of life can be adversely affected. Alternative treatments are frequently sought by those who suffer from respiratory ailments, and massage therapy has become a popular option for the many benefits it provides. In fact, research has shown the effectiveness massage can have on improving respiratory function. At Academy Massage, our licensed therapists are trained in the proper procedure to help our clients breathe easier. Our massage techniques impact the respiratory system by increasing pulmonary function. By loosening and relaxing tight upper body respiratory muscles this allows the lungs to expand and contract without restriction thus improving breathing capacity. In addition, our therapeutic massage has been shown to improve posture, which is important as it helps to open the chest area, so that the breathing rate slows and becomes deep and regular. Relaxed respiratory muscles contribute to a lower respiratory rate. If muscles are not constricted, lung capacity will increase, leading to the inhaling of longer and deeper breaths rather than short and shallow breathing. Another effective benefit of regular therapeutic massage on the respiratory system is the decrease in asthma attacks; in fact, those who follow a routine often find they are less dependent on their inhalers or asthma medications. Our massage therapies will also assist in promoting the discharge of fluids from the lungs by loosening phlegm buildups. This is achieved by practiced tapping or tapotement techniques performed on the back. Since this is a delicate and precise procedure where other medical or physical conditions may be involved, at Academy Massage our trained therapists are knowledgeable in working with these areas and who will discuss with you the treatment prior to you beginning specialized therapy. To receive optimum benefit on the respiratory system, the muscles around the torso must be massaged. 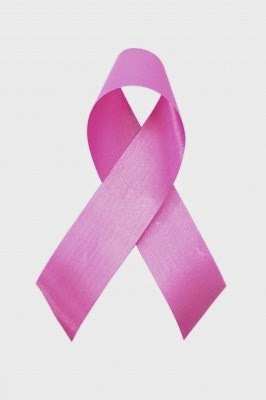 This can be a sensitive procedure particularly for female patients; however, our therapists at Academy Massage are trained in the proper techniques to avoid embarrassing exposure and willing to discuss any issues or concerns with you before the massage. If you suffer from breathing difficulties ranging from the uncomfortable to severe, we welcome you to come discuss the alternative treatment option available at Academy Massage. The most troubling aspect of tennis elbow is that in many cases symptoms do not present themselves immediately; instead the pain gradually increases in severity over about two weeks. Pain or tenderness at the elbow is most often the result of an injury to the tendons and muscles. "Tennis elbow" is a generic term; also called lateral epicondylitis or elbow tendonitis, the affliction can result from a variety of different activities, most commonly affecting those who do heavy lifting or any other action where constant and continuous strain is put on the wrist, hand or forearm. 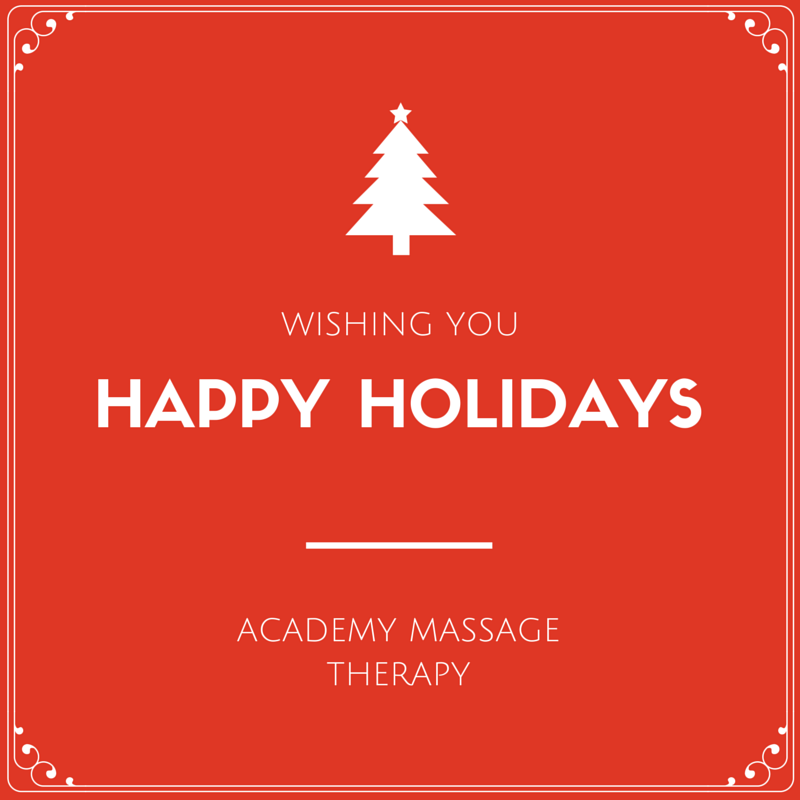 At Academy Massage we employ therapies that have proven effective in both lessening the pain and restoring flexibility in the elbow and arm. Our specialized treatment has yielded excellent results as we use a combination of deep massage to the forearm muscles to stimulate circulation along with friction therapy to the tendon, which diminishes adhesive scar treatment. At Academy Massage we recommend early treatment for the first signs of elbow soreness or stiffness as our therapy will not only ease the pain but also help prevent the development of further damage to the tendon. "Music has charms to soothe a savage breast," so wrote English playwright and poet William Congreve. But music possesses not just charms, it also has healing properties. Used in conjunction with massage therapy, music can aid in soothing aching muscles and other physical and even psychological discomforts. Music massage therapy is based on the belief that if a person is in harmony with his body then he will be able to stimulate the healing process. One of the primary and immediate benefits of combining music with massage is the relaxation it provides. Tension is eased as one's mood calms. Music therapy is believed to promote rhythmic breathing, thereby increasing relaxation and alleviating stress and anxiety. Other significant and often immediate results include enhanced mental clarity, improved emotional stability and increased energy. A person may also experience improved sleeping patterns, increased optimism and creativity, and better concentration. Of course the music must be conducive to the total experience for maximum effectiveness, and this is precisely what you will discover during your music and massage therapy treatment at Academy Massage. Our trained professionals understand that music has a profound effect on the physical and psychological components of a person's well-being. Music can enhance the healing process and restore harmony and balance to a discordant body. This combined therapy has been shown to stimulate immediate positive effects on the brain which assist in long-term physical effects on a person's body, helping in the management of chronic pain. In addition, the benefits of music can extend beyond the length of the session as the body retains cellular memory. Our therapists often recommend that clients utilize music in between treatments, thus enabling the body to remember the relaxing and therapeutic effects of the massage. The type of music may vary among individuals, but is intended to create the proper ambience. Generally, for relaxation and a release of stress, soothing music such as gentle instrumentals like the harp, guitar, piano, violin or flute can be played. 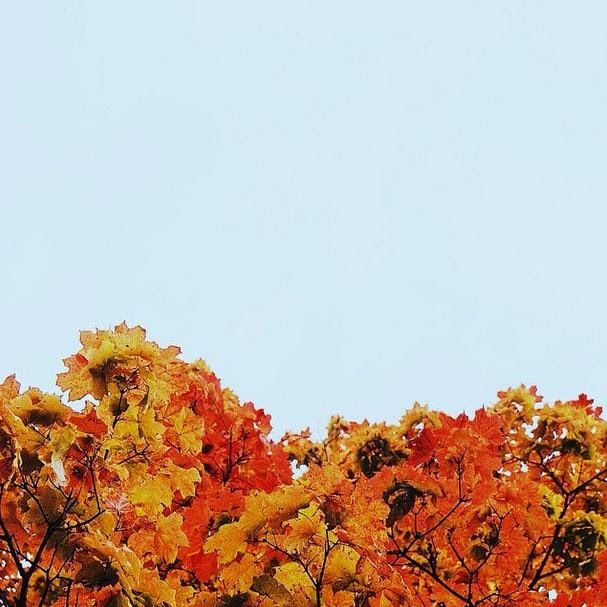 As the background does not necessarily have to be restricted to music, nature sounds such as ocean sounds, waterfalls, forest calls and the gentle chirping of birds may also be substituted. Still, in other instances, if a client has a less sedate preference or is anticipating an active schedule following treatment, a more stimulating musical selection might be in order. Music and massage therapy has also been successful in treating anxiety, stress, and depression and can even reduce heart rate, respiratory rate and high blood pressure. Other physical problems such as headaches, tinnitus and arthritis pain have shown noticeable improvement following this combined treatment. It has even been shown to boost immunity, which, with the winter season fast approaching is an important consideration to help ward off colds and viruses. Here at Academy Massage we recognize that music has a long and successful history of aiding in the healing and overall wellness of a person and have integrated music into our massage therapy programs to provide a total healing experience for our valued clients. Fibromyalgia is a chronic condition characterized by widespread pain. Symptoms may include fatigue, joint stiffness, muscle spasms and twitching, weakness in the limbs and nerve pain. The pain can range from an aching tenderness to severe discomfort. It is estimated that fibromyalgia affects 2-8% of the world population, with the disease most prevalent in females, though it can also affect men and children. Unfortunately, fibromyalgia is often misdiagnosed and is frequently associated with depression and anxiety. It was not until 1987 that the American Medical Association recognized fibromyalgia as a "legitimate" disease and a cause of disability. Since there is no known cure for fibromyalgia, many who suffer from this condition have turned to massage therapy to help relieve their often debilitating symptoms. The results have been encouraging with massage therapy being recognized as the most effective (non-drug) treatment for the pain and dysfunction of fibromyalgia. Massage therapy works at the cellular level to reduce symptoms and stimulates health in the circulatory and myofascial (muscle and connective tissue) systems of the body, helping to improve circulation and assist in releasing toxins and waste products from the body. The physical pressure on the skin promotes the loosening of stiff muscles and connective tissue and breaks the tension, strain and pain cycle, which in turn reduces the inflammation and the associated neurological reactions. Massage therapy has also been demonstrated to help the body release certain chemicals in the brain that help individuals relax. aiding in better and longer sleep patterns. The qualified therapists at Academy Massage are trained in the proper procedure to provide effective treatment to lessen the pain and discomfort of fibromyalgia. Through their skilled therapeutic methods it has been noted that after the first few massage sessions the fibromyalgia sufferer will start to experience significant results. However, Academy Massage recommends that massage for fibromyalgia be done in shorter, more frequent intervals, such as one half hour twice a week, instead of an hour-long session. A 2013 Statistics Canada report revealed that nearly 2 million Canadians aged 12 and older suffer from diabetes. More disturbing is a report from Health Canada which states that incidents of diabetes are on the rise, due largely to obesity and physical inactivity - and even genetic susceptibility. Diabetes is one of the most chronic diseases in Canada. In fact, according to the International Diabetes Association, diabetes is a global epidemic accounting for 4.16 million worldwide deaths annually. Diabetes occurs when there are problems with the production and use of insulin in the body, which ultimately leads to a dangerous increase in blood sugar levels. Symptoms include weight loss, excessive thirst, frequent urination, and fatigue. Long-term complications may include kidney failure, diminishing or total loss of vision, loss of feeling in the limbs, and cardiovascular disease. Type 1 (or "insulin dependent") diabetes is the most prone to complications and requires daily insulin injections. Type 2 (or "non-insulin" dependent) diabetes can usually be controlled through proper diet and exercise and, if necessary, oral medications. Gestational diabetes develops during pregnancy and usually disappears after the baby is born. Besides traditional medical treatments and/or changes in lifestyle, massage has become a popular and beneficial therapy both to prevent and improve the potential risks associated with diabetes. At Academy Massage our qualified therapists are knowledgeable in the correct treatment procedures to help one manage diabetes. Diabetics are at risk for serious circulatory problems. While circulation is a crucial component in maintaining good health, healthy blood flow may become compromised in the person who is diabetic. High blood sugars can result in a hardening of the arteries. According to a number of research studies, massage therapy has been shown to improve circulation, promoting a better flow of oxygen and nutrients through the body and organs, including the extremities, hence improving insulin distribution within the cells. Muscle and other tissues can be adversely affected by high blood sugar levels. Stress and improper circulation can cause the tissues around the muscles and tendons to become thicker. This can decrease a diabetic's movement and range of motion. Massage therapy addresses this problem directly by allowing positive chemical changes to occur in the body which, in turn, reduces stiffness and encourages flexibility and mobility. The importance of this treatment is that with improved body movement the diabetic is able to follow a sensible exercise plan that is necessary in the prevention of further complications connected with the disease. Massage therapy is also effective in providing relief for diabetic neuropathy, which may include any number of troubling symptoms, ranging from numbness or tingling of the extremities to speech impairment. These symptoms are often alleviated with gentle massage. Of course there are the relaxation benefits of massage, which is important in dealing with the stress people living with diabetes often experience. Diabetics must monitor blood glucose levels daily and those who experience anxiety are at risk for poor blood sugar control. Massage therapy calms the nervous system, thereby promoting a release of stressful emotions that otherwise may prove detrimental to one's physical, emotional and psychological well-being. The benefits of massage can help a diabetic continue to maintain and enjoy a healthy lifestyle. Therefore the professionals at Academy Massage recommend that regular massage therapy should become part of the treatment for diabetics. 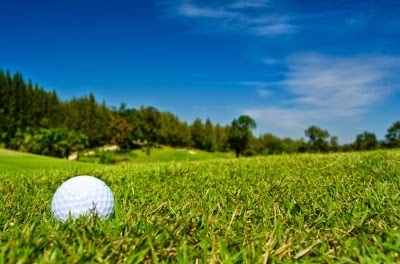 Golf is a great outdoor game and one of the most popular of the summer sports. But as with all athletics proper procedure must be followed - both to improve your game and also to prevent injury. Golf requires the use of many of your body's muscles. This is particularly important to perfect your swing. Without a proper warm-up the strain on these muscles can be extreme - and extremely painful. When you swing your club, sudden stress is put on your shoulders, elbows, wrists, lower back, hips and knees. Professional massage therapy is an excellent warm-up as it helps to loosen up rigid muscles and encourage blood flow getting muscles ready for action. Massage also helps to reduce tension and tightness in those muscles most likely to be affected by your swing. One of the most common injuries in golf occurs in the lower back area. That is because the lumbar area takes the brunt of the stress of your swing. Massage therapy is particularly effective to loosen the lumbar region. Injuries can also occur during your golf game and may result from poor swinging techniques, such as over-swinging or sudden, sharp twisting during your swing. Most of these injuries can be prevented by proper pre-game warm-up exercises. However, should an injury occur, massage therapy can be an effective treatment both to get those muscles loosened and back into shape and to alleviate the pain and discomfort. Academy Massage wants you to be on par this summer and offers the right therapies to keep you on your game. Last August, we explained in detail some of the options we have for helping you get back in the swing of things. It's springtime rapidly heading into summer and after the frigid, snowy and lengthy winter we all endured where physical activity may have gone into hibernation, people are eager to get right back into the game and begin enjoying the more temperate Winnipeg climate and the pleasures of yard work that go along with it: gardening, planting, trimming and general lawn maintenance. But as with any physical task that we enter into, one must exercise caution and approach each job slowly and prudently, especially when it comes to working muscles that may have been kept pretty much dormant through the November through April months. It is a fact that most sprains and other such injuries occur during the first months of spring when too much is done too fast. Back pain is a common complaint, resulting from too much bending or improper posture while tending to the garden. Muscle strain is another problem, which can occur as the result of pulling a fatigued muscle by performing a sudden and rigorous activity. Quick or heavy lifting or performing an irregular work task can trigger this problem. When muscle strain occurs the symptoms can be debilitating, ranging from a weak or sluggish sensation of the muscle or tendons to severe pain in the affected area or even the inability to use the muscle at all. 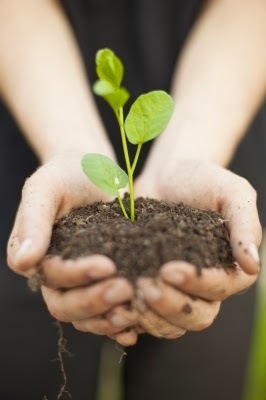 While prevention is always the best solution to such injuries and suggested measures include establishing a warm-up period prior to engaging in yard work, as well as not trying to do too much all at once, if an injury should develop, deep muscle therapeutic massage provides a hands-on, drug-free therapy that can both alleviate the discomfort and even help prevent future injuries from occurring. Here at Academy Massage we specialize in treating muscle strain and sprains by utilizing a variety of proven and effective techniques. For nagging muscle spasm our highly-trained therapists employ a simple treatment to bring back the contractility and function of the muscle to normal. Our massage for muscle strain improves flexibility and relaxes the muscle, thereby not only relieving pain and discomfort but also aiding to the overall well-being of the person. Through a practiced technique of squeezing, pressuring and kneading, our therapists work deep to stimulate the internal layers of muscles, tendons and connective tissue which also release toxins from the body. This cleansing helps to both reinvigorate and heal the body. These additional benefits include improving blood circulation and providing increased oxygen to the body's extremities which helps to reduce muscle inflammation. To this end, our therapists highly recommend that you drink plenty of fluids after each session. It is also important that you understand that you may experience some discomfort through our deep pressure massage treatment and that you might experience some muscle soreness and tenderness following the therapy though this will alleviate in a couple of days. We are proud to say that the benefits from our treatments far outweigh the discomforts and so encourage anyone who may be experiencing soreness from the spring clean-up to drop into our office and discover how Academy Massage can help you get a good grip on summer. Carpal Tunnel Syndrome: What Is It and What Can You Do? Although many people believe Carpal Tunnel Syndrome (CTS) is caused by strain in the muscles, it actually develops due to problems within the nerves. CTS is a form of Repetitive Strain Injury (RSI) that develops when the tissues around the median nerve swell and create pressure. Most people report pain in their wrists as a symptom of Carpal Tunnel Syndrome. There are several therapeutic options available for the treatment of CTS, including massage. Gentle, passive range of motions movements of the wrist and long strokes up the flexors of the forearm can help reduce the pressure put on the nerves by these surrounding tissues. Stretching these flexors by extending the fingers, hands, wrists and elbows will also relieve pressure. If you find that self massage is not relieving the discomfort you feel, please contact us to discuss our targeted treatment options. All treatments at Academy Massage are customized to the client to suit their needs and we would be happy to help you find relief! After the brutal, interminably long winter we hearty Manitobans have endured this past season, the prospect of summer and enjoying fun in the sun have already got many of us preparing for those activities we enjoy. Be it cycling or running in the park or engaging in sand and surf frolicking and tournaments, what is a certainty is that many of those muscles that we basically have kept dormant during winter months are once more reactivated with a vigorous passion. In our eagerness to get motivated, we often neglect to prime ourselves physically before embarking on our various activities. Getting adequate amounts of sunshine and exercise are paramount ingredients in maintaining optimum health. Physical activity has been proven to reduce stress and absorbing rays has now been recognized as a good source of achieving Vitamin D.
Yet despite these benefits, there is a flip-side. Over-exposure to both can lead to dire consequences if proper protocol is not heeded. People have become aware of how too much exposure to the sun's UV rays can potentially result in skin cancer. Just as problematic is the bending, stretching and extending of joints and muscles put to full use during summer activities. Now this is not necessarily limited to leisure events. Even routine chores around the house and yard such as gardening and lawn maintenance can produce physical difficulties and even lead to debilitating injuries. People want to enjoy the summer months without being hindered by unnecessary pain. Therefore it is highly recommended that massage therapy be considered both as a preventative measure and also to offset the effects of soreness brought about by work or sports injuries. At Academy Massage, we specialize in massage therapy that is goal-oriented and results-based. Our work is specifically geared to the problem area by implementing treatment methods that include permanent pain relief, injury healing and rehabilitation, correction of soft tissue dysfunction, and increased flexibility and range-of-motion. The professional massage therapists will apply the proper techniques to muscles and joints that will release tightness, cramping, spasms and knots. Depending on one's preference a massage therapist can apply either a ‘focused massage’ or an ‘all body massage’. A focused massage allows the massage therapist to concentrate on specific areas where cramps and knots are grouped together. This is typically the case when it comes to sensitive areas like the neck, shoulder and arms. An all body massage helps the body relieve tension and regulate itself. Among the additional benefits are better sleep patterns, and improved alertness. A professional massage can also help free up the lactic acid that builds up in our muscles from strenuous activities that, if left untreated, can produce toxins in the body that may compromise and cause inflammation to the immune system. Equally important is to keep hydrated during those hot summer days. Muscles and tissues require plenty of fluids to function properly and to prevent sprains or spasms. With a long-awaited summer now upon us, now is the time to consider a therapeutic massage session and enjoy the season at your optimal best. Most people associate whiplash with being in a car accident, but did you know that’s not the only thing that can be the cause? Headbanging (really), bungee jumping and even something as small as falling can be the source of the injury; anything that forces your neck and head to be thrown back and sideways suddenly. Whiplash is the non-medical term often used to describe hyperflexion and hyperextension, it is also one of the most common non-fatal car crash injuries. Symptoms of whiplash, or “Cervical acceleration-deceleration”, range from headaches, pain in the neck and back to feeling pins and needles (sensory disturbance) in the arms and legs. These symptoms may be present immediately after the injury, but can take days to be felt fully. If you or someone you know is still suffering from whiplash pain, call Academy Massage to arrange a restorative massage session! We will work with you to assess your injury and determine the best form of compatible treatment to your existing program. Today over 4.2 million Canadians suffer from arthritis and this staggering statistic includes that more than half of that number are under the age of 65; further that more than 600,000 are so severely affected by the disease that they are unable to hold steady employment. This produces a strain not only on the arthritis sufferer but also on the national economy, which, including loss of productivity coupled with health costs leaves a financial burden of arthritis in Canada at $6.4 billion! Arthritis is a form of joint disorder that involves inflammation of one or more joints. Arthritis consists of more than 100 different conditions, ranging from relatively mild forms like bursitis to crippling systemic types, such as rheumatoid arthritis. Regardless of the type of arthritis, the symptoms are commonly pain, swelling and joint stiffness. It is wrong to assume that arthritis that is an untreatable condition. There are also preventative measures one can take, such as maintaining a healthy body weight and following a correct diet and exercise regime as well as avoiding risk activities that may contribute to joint injuries. However, there are no guarantees that one can protect oneself from the onset of arthritis as its encroachment can be slow and insidious. Receiving proper diagnosis is critical since treatment options vary depending on the type of arthritis. These can range from medications to physical therapy. 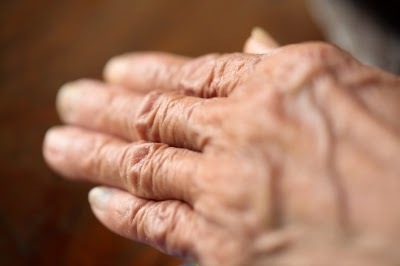 Massage therapy has become an increasingly popular option in managing arthritis pain. Not only does massage help to soothe sore joints and muscles, it also aids in easing anxiety and promotes better sleep. Another benefit is that massage increases the body's ability to produce endorphins which reduce pain. Recent studies have shown that regular massage therapy sessions have resulted in improvements in pain, stiffness, range of motion, hand grip strength and overall function of the joints. In addition, massage therapy has shown to be effective in the treatment of osteoarthritis of the knee. At Academy Massage our trained therapists understand the difficulty of living with the pain and worry of arthritis and utilize the most effective modern massage methods to help reduce both the soreness and the stress. Massage therapy involves working soft body tissues with the hands or an instrument, thus easing the discomfort of the arthritis sufferer by loosening up the affected joints. In addition, when gentle joint stretching is done, it can stimulate the production of synovial fluid, which acts as a cushion and reduces inflammation and pain. Academy Massage employs various massage therapies depending on one's type of arthritis and symptoms. These include deep-tissue massage and reflexology. To this end, it is very important that the arthritis sufferer be specific about where and how the arthritis is affecting him so that safe and proper treatment can be applied. While massage therapy cannot cure or halt the progress of arthritis, it can ease the painful symptoms and help improve one's quality of life. Speak to one of our qualified professionals to discover if massage therapy might be a treatment option that is right for you. At Academy Massage we're about more than just typical massage therapy treatment. We also offer several take-home products to all our clients. One of our favourites is the Relaxus TENS massager! This compact machine will fit in your pocket and is easily rechargeable – great for when you’re on the go or travelling and don’t have time for a full massage session. The machine delivers small electrical pulses to tense muscles through electrode patches placed on the skin. These pulses alter and block the pain signals passing through the nerves and spinal cord on their way to the brain. This reduces the overall number of pain signals received by the brain and helps the muscles to relax and release tension. It may be a few days shorter than any other month of the year, but February has a lot to offer. Not only is February officially known as Heart Month, but it also contains Valentine's Day. With so much focus and emphasis on the heart, it is time to take a look at what you can do to treat your heart right. With the hectic pace of the holiday season behind us, and the promise of warmer weather and more sunshine ahead, now is the perfect time to indulge in some heart-healthy tips and tricks. With Valentine's Day just around the corner, it is useful to find a heart-healthy activity that you and your loved one can enjoy. Many couples enjoy massages, but did you know that a couple's massage can do more than just alleviate sore muscles and stiffness throughout the body? Research has shown that massages benefit the heart as well. The Pacific College of Oriental Medicine found that a good, thorough massage can help the heart by allowing blood to circulate more efficiently throughout the body. You will also benefit from a drop in blood pressure and a lower heart rate. If you want your partner to give you a massage more frequently, simply explain that regular massages play a role in reducing stress and associated problems such as cardiac arrhythmias. If you want to treat your heart right, try eating well. Even small changes in your diet can have lasting impacts on your heart health. Fresh produce is great for maintaining a healthy heart because it clears out potentially harmful free radicals within the bloodstream while protecting blood vessels in the process. Other heart-healthy foods include whole grains, legumes, nuts, teas, and fatty fish. Treat your partner to a heart-healthy meal on Valentine's Day that both of you can enjoy. Your heart is a muscle, and it needs to be exercised just like any other muscle in your body. If you already have a workout routine, invite your partner along for a 10 minute walk around the neighborhood after Valentine's Day dinner to get the blood flowing. Just a short walk can increase metabolism and will make you feel good all-around. Regular cardiovascular exercise has been shown to increase the strength of the heart. A stronger heart will work more efficiently, and it will pump more blood each time it beats, leading to an increased blood flow that carries more oxygen throughout the body. The phrase "death by chocolate" is less frightening once you know that chocolate can be good for the heart. The Harvard Unive rsity School of Public Health concluded that chocolate has been linked to heart benefits such as increased blood flow, less frequent amounts of blood platelets sticking and clotting, and lower levels of bad cholesterol. Therefore, you should buy your sweetheart some chocolate this Valentine's Day - make sure you make an appointment for a couple's massage as well. Taking small steps in the right direction can have very positive results. Reward your heart this month with some heart-healthy tips and tricks. Bring your partner along for Valentine's Day fun; you will have an enjoyable time with lasting health benefits.